Now that the 21st century is 18, it’s got some big choices to make. It can either become a responsible grown-up century, take responsibility for itself, and take advantage of the many freedoms and privileges that its burgeoning maturity bestows upon it, or it can use its nominal adulthood to dig deeper into its adolescent insouciance — buy cigs legally and flick ’em at the older decades. I have a feeling I know which way this little-[expletive] of a century is leaning. I don’t like the kids it’s hanging out with at all, and it never seems able to give me a straight answer about where it’s going or what it’s up to. But one thing I do know: This year, this here Weekender is all about keeping this century on the right track using the stabilizing force of — say it with me — cultcha. This is a big year for our little century (I’m getting misty here — it’ll always be my little Y2K, listening to the Avalanches in its crib) and it takes a village/commonwealth. This week we’ve got films on tap (and a film on tap), Georgia on our minds, and a movie that doesn’t make us jealous at all, why would you say that? Ha! Jealous. That’s crazy! Yeah, no. Nope. PAPER HEARTS: I mean it’s not as though “The Post” is stealing the “Spotlight” from “Spotlight” — that was like three years ago y’all! — and it’s not as though that one tiny taste we got of Hollywood glamour left any of us combing the proverbial carpets for just one more succulent crumb. No way. We’ve totally moved on! 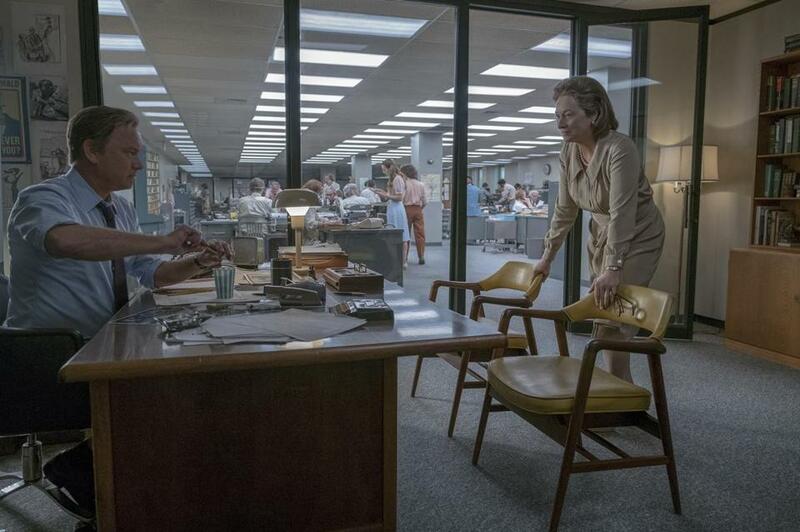 So there’s seriously no issue at all if you and yours want to go see Steven Spielberg’s “The Post,” which stars Tom Hanks as Washington Post editor Ben Bradlee, Meryl Frickin’ Streep as publisher Katharine Graham, and a pile of very convincing papers as the Pentagon Papers. I mean why wouldn’t you? Right? Ty Burr gives it 3½ stars (which, along with our interview with “Spotlight”/“The Post” co-writer Josh Singer, should tell you right there we are not jealous at all and are way cool with you guys hanging out) and calls it “grand, thoughtful entertainment” with a message about the necessity of a free press “that is never not relevant and never so much as now.” Looks pretty good! “Spotlight” good? Maybe not. Maybe, though! Hadn’t thought about it, honestly. Opens Friday. GIFT OF THE GARB: New subject. You like Georgia O’Keeffe? We love Georgia O’Keeffe. OK, great, this is working! There’s a new exhibition of her work up at the Peabody Essex Museum in Salem through April 1. Cate McQuaid calls “Georgia O’Keeffe: Art, Image, Style” a broad, remarkable examination of the magnetic effect of O’Keeffe’s taste and persona.” That taste part factors in heavily — or lightly, as it were — as the garments O’Keeffe created for herself are displayed alongside her now-iconic paintings and photographs. “But because she was an icon — and she knew it,” writes McQuaid, “she composed herself as carefully as she composed her art. The show is a kaleidoscope of surfaces.” (So are the roads; careful getting there). More info here. FLAME THROWER: There are two ways to know Talib Kweli. One, as a founding member of Black Star (along with Yasiin Bey, nee Mos Def), a proficient lyricist with a flow like a long crackling fuse to a stick of dynamite and a time-tested talent for dropping bombs that blow up societal ills, class dysfunction, and Twitter fools. And two, as the guy who just vaporized you on Twitter for saying something foolish. It’s way better if you fall in the former camp, as the MC himself will be coming to City Winery on Friday for an intimate set behind his latest album, “Radio Silence.” Looks like ticket sales are closed for now, but there’s a waitlist you can hop on, and likely some resales out there. Maybe hit him up on Twitter? Nicely? More info here. HOT LEFTOVERS: It’s been four decades since Boston punk legends the Nervous Eaters played their first gig at the Rat in Kenmore Square (home of the worst smelling microphone I’ve ever encountered), but the band is ready to drag all its stuff onstage again, with a forthcoming Ace of Hearts reissue of the group’s “Hot Steel and Acid,” and a show this Saturday night in Somerville at Thunder Road with Watts and David Age and the Regrets. “We’re not spring chickens anymore, that’s for sure,” the Eaters’ Steve Cataldo told the Globe’s James Sullivan. “I don’t know how many more times we can take shots at it.” If they’re talking about that microphone, someone let them know this is a much nicer, newer one. Tickets and info here. 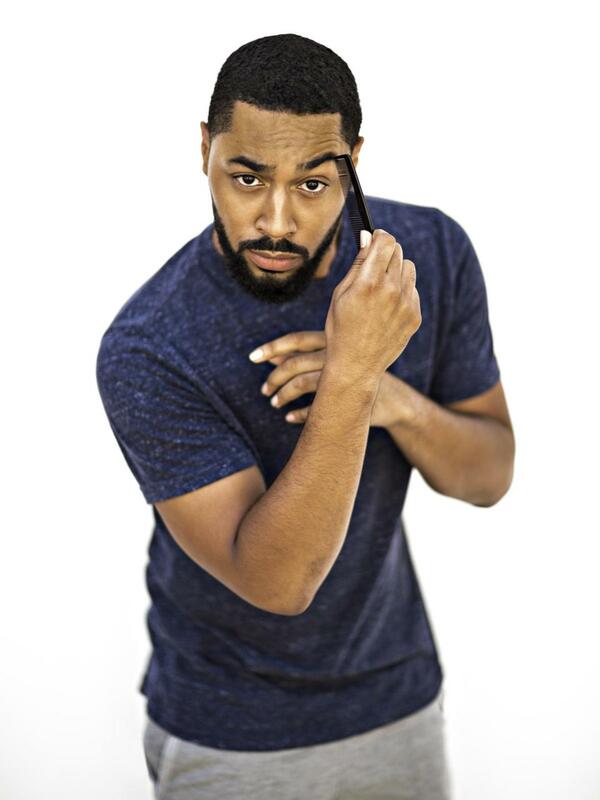 Tone Bell plays Laugh Boston Friday and Saturday. FUNNY STUFF (1): Tone Bell isn’t just a handsome Casanova with an air mattress, he’s a stand-up comedian getting a whole lot of screen time via shows like “Whitney,” “Bad Judge,” and Netflix’s “Disjointed” (opposite Kathy Bates). He’s also due to appear in Ken Marino’s forthcoming comedy feature “Dog Days,” alongside Eva Longoria, Tig Notaro, and Rob Corddry. On Friday and Saturday nights, you can catch Bell in one of his two natural elements: onstage (the other one, FYI, is when he’s surrounded by old people). Tickets and showtimes for his Laugh Boston sets are here. TAPPER KEEPER: On Friday at “Boston’s Unofficial Film School,” the Brattle, treat yourself to some Anacin and one of two screenings of a new digital restoration of George Nierenberg’s floor-shaking 1982 documentary “No Maps on My Taps,” which chronicles the stage-storming tap resurgence of the ’80s through the fancy footwork of tap legends like Bunny Briggs, Chuck Green, and Harold “Sandman” Sims. The film is followed up by a screening of the 30-minute follow-up, “About Tap.” (And you might as well stick around for the 9 p.m showing of the delightfully off dark comedy “Hallelujah the Hills.” You might run into these guys.) Find tickets here. PRINTS OF PERSIA: Another fine way to forget for a few hours that the planet we live on is actively trying to bury us in a crust of ice is to hunker down at the Museum of Fine Arts for the weekend, where the Boston Festival of Films From Iran is in full swing (and continues through Jan. 17) and hits a particularly strong stride over the next few days. This weekend offers a chance to catch Ali Asgari’s debut, “Disappearance,” as well as Iran’s entry for this year’s foreign film Academy Award, Narges Abyar’s “Breath.” Check out Loren King’s preview of the festival here, and find full program info and tickets here. KID VICIOUS: Finally, from beyond your blanket, the Boston Symphony Orchestra drags the proverbial tree to the curb and picks up its subscription season once more with a pairing of Mozart and Beethoven, conducted by François-Xavier Roth and featuring the debut of young British pianist Benjamin Grosvenor. Back in 2013, the Globe’s Jeffrey Gantz admired the then-21-year-old’s “technique that made even the finger-busting Liszt sound like child’s play.” It’s worth seeing what he brings to Mozart’s Piano Concerto No. 21 at the ripe old age of 25. Performances are all weekend. Tickets here. OR STAY IN! : Why thank you, bold-type heading, that’s the first sensible thing I’ve heard all day. The best way to keep 2018 out of trouble and off the streets is to do just that. Stay home! 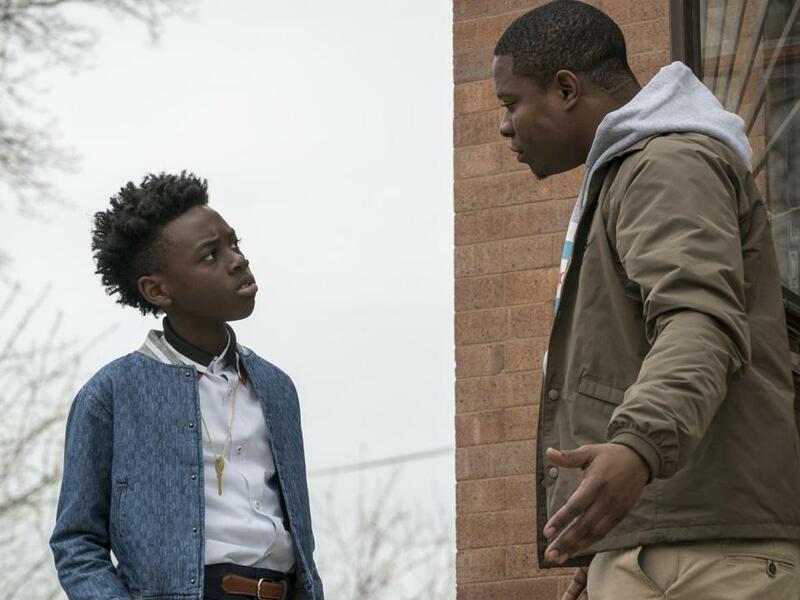 I’m sure you can find something to watch leading up to Sunday’s premiere of Showtime’s “The Chi,” a new ensemble drama set in Chicago’s South Side that Matthew Gilbert calls “a strikingly honest, intimate, and habit-forming series.” It’s written and created by the magnificent Lena Waithe, who co-wrote last year’s Emmy-winning “Thanksgiving” episode of “Master of None” (and in doing so became the first black woman to win for comedy writing). And that, fair Weekenders, is all I’ve got for — oh wait, one second. Just one gall durn moment. I bet you thought I was going to forget about you, Amy. Nope. Not this newsletter! Not after how much coffee this newsletter has had today. Not a chance. And because I remember Amy and her request “for journalistic purposes” that I switch up my regular sign-off because it’s “getting repetitive,” I will honor her and come up with something new right now. (I said I remembered. I didn’t say I was prepared!) So, uh . . .
Here’s to Friday, Saturday, Sunday; and if those don’t cut it, there’s always Monday.